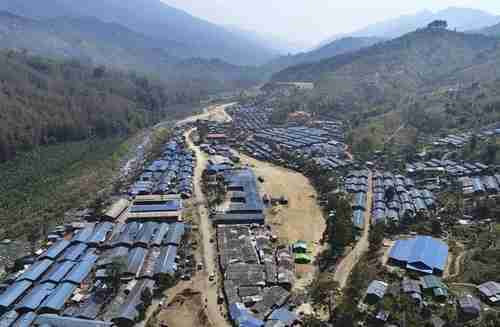 Some 4,000 ethnic Kachins have been driven from their homes in the last three weeks by an escalating conflict between Burma's (Myanmar's) army and the separatist Kachin Independence Army (KIA), and are now sheltering in makeshift shelters in the jungle around nearby villages. An additional 15,000 people have fled their homes since the beginning of the year. There has been a longstanding low-level conflict between Burma's army and the KIA for several decades, but conflict has severely escalated since the beginning of this year. The conflict is expected to worsen, as reports indicate that the army is deploying reinforcements, including 2,000 infantry troops, fighter aircraft and helicopters. The Burmese army's fight against the Kachin ethnic group and other ethnic groups in northern Burma has been eclipsed in the international news by the ethnic cleansing by the army of ethnic Rohingyas in Rakhine State. That ethnic cleansing is still in progress. In 2007, I wrote the article "Burma: Growing demonstrations by the '88 Generation' raise fears of new slaughter," describing anti-government riots and demonstrations by Buddhist monks. Many people feared a full-scale civil war, but as I wrote at the time, that wouldn't happen because only 49 years had passed since the end of the previous crisis civil war. In the "Brief generational history of Burma" that I included with that article, I described Burma's last generational crisis war, 1948-58, as a civil war among ethnic groups, with intervention by the Chinese, with a war climax in 1958 when the army took over power, and turned power over to a civilian government. I wrote at that time that a new crisis war would not occur at that time, but would probably occur within ten years or so, as the survivors of the previous crisis war disappear. Well, ten years have passed, and it appears that Burma is entering a new full-scale crisis civil war, with ethnic cleansing of the Rohingyas occurring in one place, and an escalating fight with ethnic groups in the north. 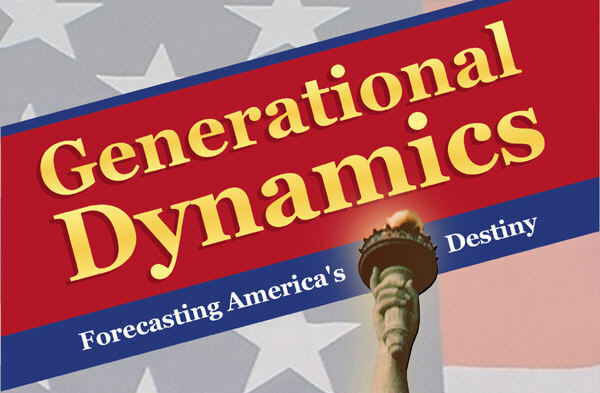 The tipping point into this new generational crisis war (or the "regeneracy," using the technical term from generational theory) seems to have occurred in November 2016, when the Kachin Independence Army (KIA) joined together with other with the militant wings of other ethnic groups in northern Burma to form the Northern Alliance, whose members will fight Burma's army together. The other militant groups are the Ta’ang National Liberation Army (TNLA), the armed wing of the Palaung State Liberation Front promoting self-determination for the Ta’ang people living in Shan State, Yunnan and Northern Thailand; the Myanmar National Democratic Alliance Army (MNDAA), the armed wing of the ethnic Chinese Kokang ethnic group, living in the northern part of Shan state, along the border with China; and the Arakan Army (AA), the armed wing of the Arakan people in Kachin state.